Just in time for Valentine’s Day we’re having a huge sale on the App Store! Almost ALL our apps are reduced to just $0.99 / €0.99 / £0.99, savings of up to 75%! Head over to the App Store while the offer lasts! 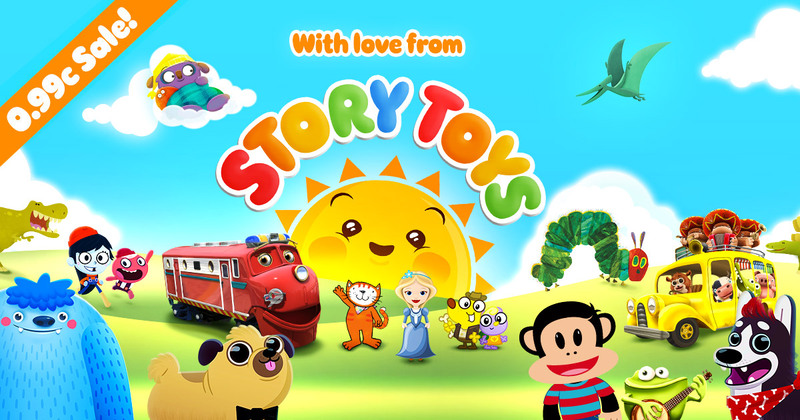 Entertain and educate your little one with favourite characters such as My Very Hungry Caterpillar, Chuggington, Julius Jr. and Poppy Cat. Introduce early learning skills with the Touch Look Listen series, Farm 123, Too Many Teddy Bears and more. Try out some of our best selling fairytales like Grimm’s Rapunzel or Grimm’s Sleeping Beauty. Go on an exciting digging adventure in Dino Dog or discover the delights of Jelly Jumble. There’s something for everyone with lots more on offer!